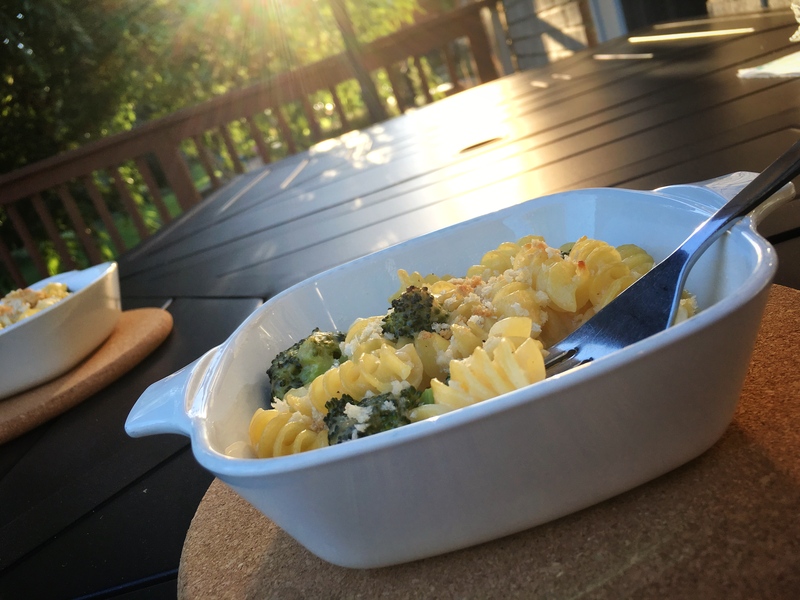 The other day, my wife and I were jonesing for something cheesy for dinner, and so I took to looking for a healthy “mac and cheese” recipe to satisfy our taste for all things cheesy, while keeping it nutritious. I found a recipe for Broccoli Mac and Cheese in my Good Housekeeping 400 Calorie Meals cookbook, and gave it a whirl. Admittedly, I altered the recipe a bit to suit the types of cheese I had on hand (and to use a different pasta noodle other than macaroni). But after all was said, done, and baked, the end result was nothing short of delicious. If you’re in the mood for some homemade “mac and cheese”, give this recipe a shot — it’s sure to satisfy your craving for all things cheesy!